Place sliced beets in large bowl. In a small bowl, whisk together vinegar, mustard, and caraway seeds. Slowly add oil in a stream and continue whisking. Season with salt and pepper. Pour the dressing over the beets leaving 3 tablespoons of dressing in the small bowl. Add the radishes and green onions to the remaining dressing in the small bowl and toss to coat. Place the lettuce on a plate and top with beets. 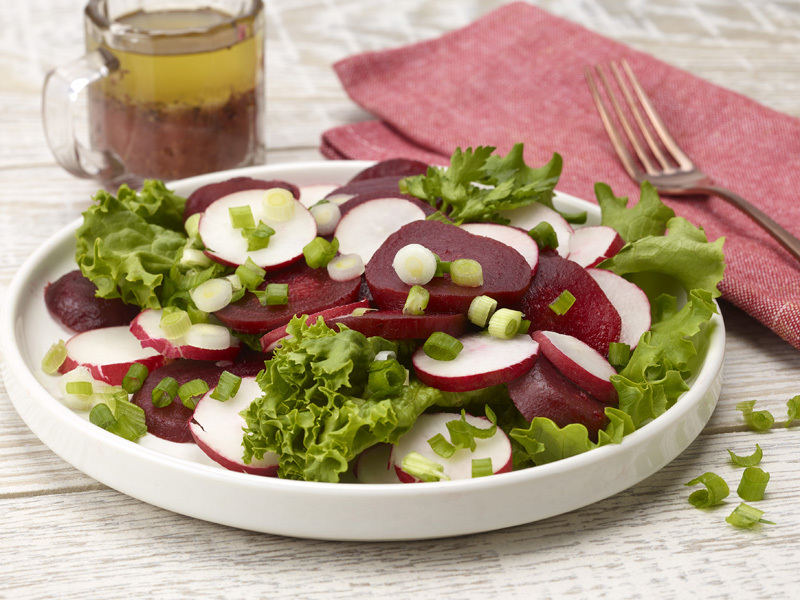 Sprinkle beets with radishes and scallions. Garnish with parsley.